Tiffany's Online Finds and Deals: $1.97 Ultra Glow in the Dark Stars for Amazon Prime Members! 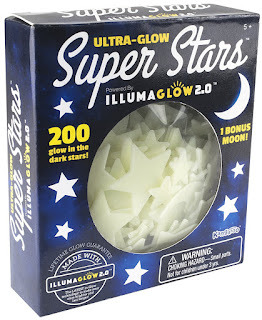 $1.97 Ultra Glow in the Dark Stars for Amazon Prime Members! Do you have Amazon Prime? If so you can grab these glow in the dark stars for ONLY $1.97!!! Grab some codes from the gleams at bottom of blog post! Kangaroo's Glow Dark Stars Are The Best on the Market with 200 Glow in the Dark Stars and One Bonus Moon Per Order. Stick Them On Your Ceiling or On the Walls. Kids Will Love the Natural Light These Glow Stars Give Off. Great Party Favors! One Kit Make Dozens or Birthday Party Favors! Give The Birthday Girl or Boy the Bonus Glow in the Dark Moon! *200 Brilliantly Glowing ceiling/wall Stars included in each kit. *Our stars are NOT merely stickers or decals - They are Thermo-molded, rigid, and can be re-applied over and over with the special adhesive putty that comes with your kit. You won't have to deal with dried-on stickers that are virtually impossible to remove from your ceiling. **A few words about Putty - Our adhesive putty not only gives you the freedom to reposition your stars with the confidence that they will stick again, but has been tested to be safe for wall/ceiling surfaces - even textured or older popcorn-style acoustic ceilings. Other manufacturer's use an inferior double-sided foam tape, which loses it's adhesion properties after one application AND has been known to leave behind a messy, dried mixture of foam/glue that is extremely frustrating to remove not to mention damaging to your paint surface. Bottom line is OUR PUTTY is safe, Reusable and worry-free! *Find the included Bonus glowing moon! Just let me know you ordered Thank you!